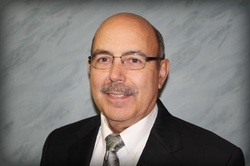 Dr. Ronald E. Jardin, D.D.S. Dr. Jardin has been practicing for 43 years. He graduated from Ohio State Dental School in 1974 and then spent time practicing dentistry in the Navy. Dr. Jardin grew up in Toledo and is a member of the Toledo Dental Society, the American Dental Association, and the Ohio Dental Association. In his spare time, Dr. Jardin enjoys going to his lake house on Devil's Lake, Michigan with his family. Dr. Mark A. Buganski, D.D.S. Dr. Buganski has been practicing dentistry for 33 years. He grew up in Toledo and is a graduate of St. Pius X grade school and St. Francis De Sales High School. Dr. Buganski attended John Carroll University for 3 years and has a Bachelor of Science and a Doctor of Dental Surgery degree from Case Western School of Dental Medicine.He is a member of the Toledo Dental Society, Ohio Dental Association, and the American Dental Association. 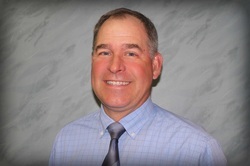 In his spare time, Dr. Buganski enjoys golfing, bowling, and attending local sporting events. Dr. Theresa R. Duggan, D.M.D. Dr. Duggan (Beham) became partner in January 16'. Like Dr. Buganski, she gradated from Case Western School of Dental Medicine in May 2012 and received her Bachelors in Biology from Ohio University in 2008. 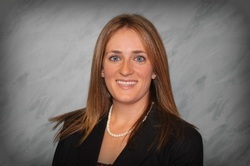 Dr. Duggan graduated from St. Ursula Academy in 2004 and is a member of the Toledo Dental Society, the Ohio Dental Association, and the American Dental Association. Dr. Duggan loves being a mother of twin boys and spending time with her friends and family.